Well this is just the best news. Also, good to see the Edward Nigma table is still making its rounds at the NECA photo booth. It's quite the versatile accessory. If DST were to just sell the dio parts, I'd be all in. 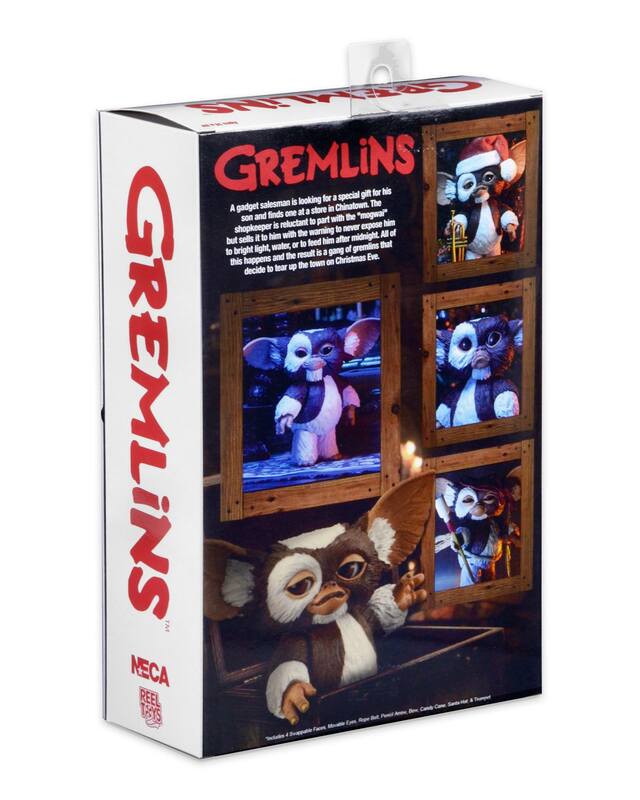 Oh man this is great, now I am glad I passed on most of the other NECA Gremlins releases. Also, love that there is a ball on the back that allows you to change direction of the pupils. Really excited for this. Just went live for pre-order on BBTS, grabbed mine. Oh, for sure. Out of that set that came with Edward Nigma and that awesome table, I'll let you guess which one is NOT in my detolf right now. SPOILER ALERT: It's the figure. what does that look like without the "faceplates"? Should be interesting. That would be the best if DST just sold the dio parts!!! Im surprised that they dont actually. With toy photography has popular as it is right now it would be a best seller. hope this means an 'Ultimate' Stripe isn't too far behind. I've never been one to worry about scale. I know a lot of folks used to flip out over DC Direct's problems with scale, etc., but I have never had a problem with things like that. 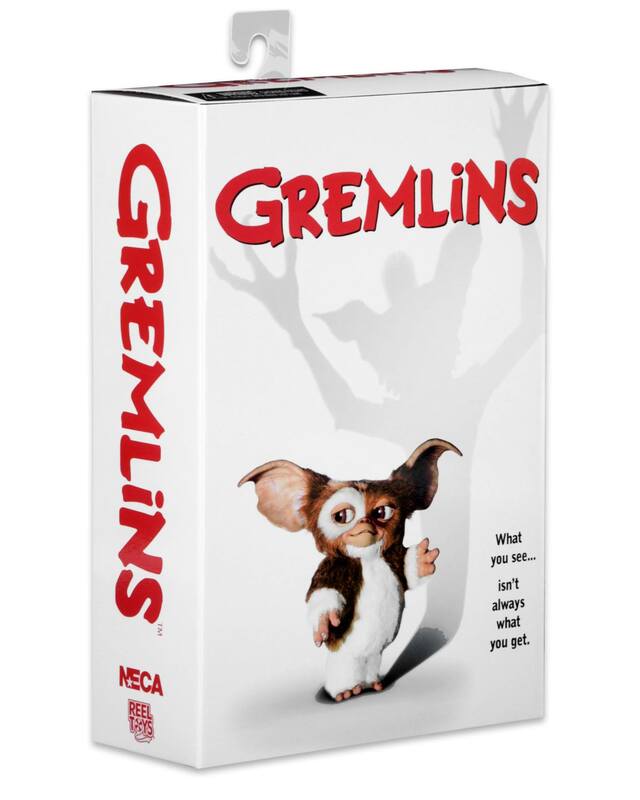 However…I've never bought any gremlins or mogwais because they're just too damn big. A 7" Gizmo maybe would work with an 18" figure. But to try to display him with any normal NECA release and it just looks silly. I've always had the same issue with Chucky figures. I understand why they do it, it's just not for me. I've never been one to worry about scale. I know a lot of folks used to flip out over DC Direct's problems with scale, etc., but I have never had a problem with things like that. However�I've never bought any gremlins or mogwais because they're just too damn big. A 7" Gizmo maybe would work with an 18" figure. But to try to display him with any normal NECA release and it just looks silly. I've always had the same issue with Chucky figures. I understand why they do it, it's just not for me. 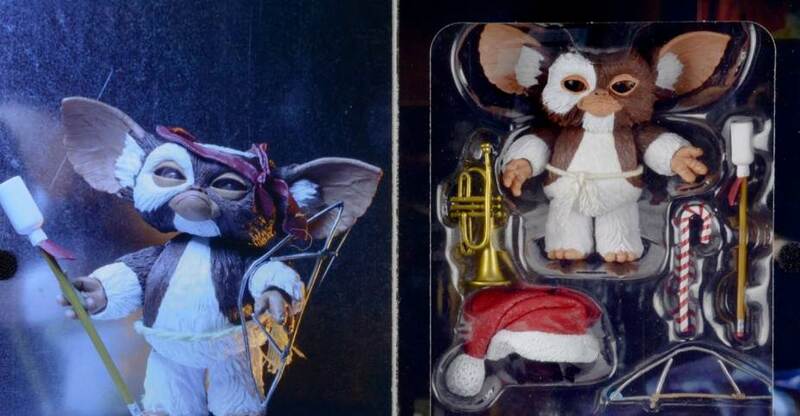 Yeah in order for them to make the gremlins and mogwai in scale and still sell it as a regular figure-type deal they'd have to bundle at least 3 of each into one creature set package. Now that I've typed that out I actually would really like to see it happen. I always thought Gremlins would be a perfect way for NECA to dive into the blind box arena. If they were in scale with a 7" figure, say Drake from Uncharted, I imagine Gizmo would be about an inch high. This way we could get our in-scale gremlins. I get what you guys are saying, but I have no problem with just making him a standalone figure and displaying him separately from my other NECA stuff. If you want Gremlins that are that small, you could always have gone with the ReAction ones. They're fairly tiny. They're not going to have moveable eyes or anything, but neither would the NECA ones at that size. I prefer them at this scale though. Much more you can do with them than trying to make a truly 1/10 scale Gremlin. The Gizmo looks, great, but the only newly sculpted parts appear to be the ears. The faces and accessories are the same as the ones sold in the previous gizmo releases. If you already have those, then this makes little sense. The main thing (other than the ears) that stands out on these prototype photos is the high-gloss eyeballs. I really hope they are able to capture a gloss effect on the production models. 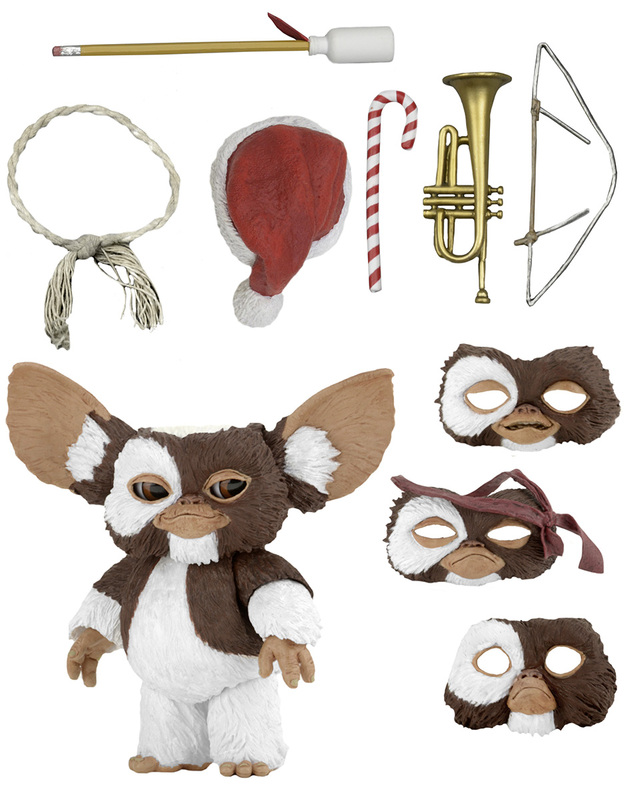 Glossy eyeballs would really go a long way to making this Mogwai figure "Ultimate". I only have the Rambo Gizmo, so this is welcome release for me. I'm hoping positive sales of this lead to further Gremlins releases and/or re-releases. I have the Bat and Spider Gremlins, and both are great. Those led me to pick up a few others, such as Poker Gremlin and the Rambo Gizmo. Very cool! I have the Rambo and standard version, but this is tempting. The only version you don't get with this ultimate is the SDCC version. I too got into this line late in the game. Would love a Spike or Stripe Gremlin to go with him. 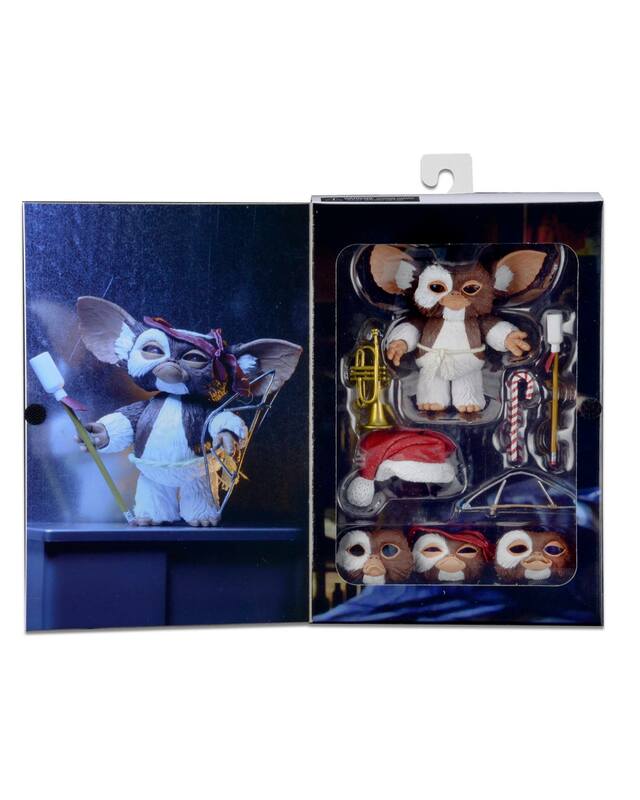 Am I the only one who thinks accessory packs would be awesome for the Gremlins line? It could be a chance to get the cocoons and maybe some little fur balls,and other things like a keyboard,but maybe I'm asking too much. Look at that boy! Definitely picking him up. This is great news. I will be picking this one up! Makes me even more excited for Mohawk. Really want this figure. I have it pre-ordered but Forbidden Planet can't meet the demand. Regarding scale, I'm glad I still have my 1984 Galoob Gizmo, Stripe and Mogwai Stripe (not pictured). I shall treat Ultimate Gizzy as a standalone piece as soon as I can get my hands on one.